Noxious weeds / invasive plants are one of the largest disruptors of ecosystem function. They can colonize a variety of habitats, reproduce rapidly with a variety of mechanisms, and aggressively out-compete native species. 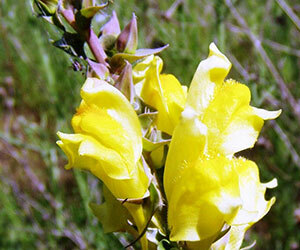 A plant is designated noxious in Idaho when it is considered to be injurious to public health, agriculture, recreation, wildlife, or property. Weeds are typically spread by dispersal of seeds or plant parts in a variety of ways. The wind, water, animals, machinery, and people carry seed and plant parts from one location to another. Many weeds produce abundant seeds with barbs, hooks or other attaching devices that facilitate easy adherence to people, animals or equipment. Because society has become increasingly mobile, weed seeds can and do travel great distances quickly. Weeds usually become established and advance along highways, roads, trails and river corridors. Some noxious weeds, such as purple loosestrife, have been spread through ill-advised horticultural and home garden plantings. Others have been inadvertently introduced through planting of contaminated crop seeds, the feeding of weed seed contaminated forage to livestock, or on vehicles, boats or other machinery. Banner Credit: (Orange Hawkweed) Michael Shephard, USDA Forest Service, Bugwood.org. Photo Credit: (left) Dale Morlan, Benewah County / (Right) Vic Ramey, University of Florida/IFAS Center for Aquatic and Invasive Plants.